In September of 2000, Gryffin was on death row. I was just too naïve to know it. When I met him at an Atlanta-area shelter, I saw only an adorable 12-week-old puppy awaiting a home. He was black and gold and as friendly and clumsy as most puppies, but compared with his littermates, he was remarkably calm. 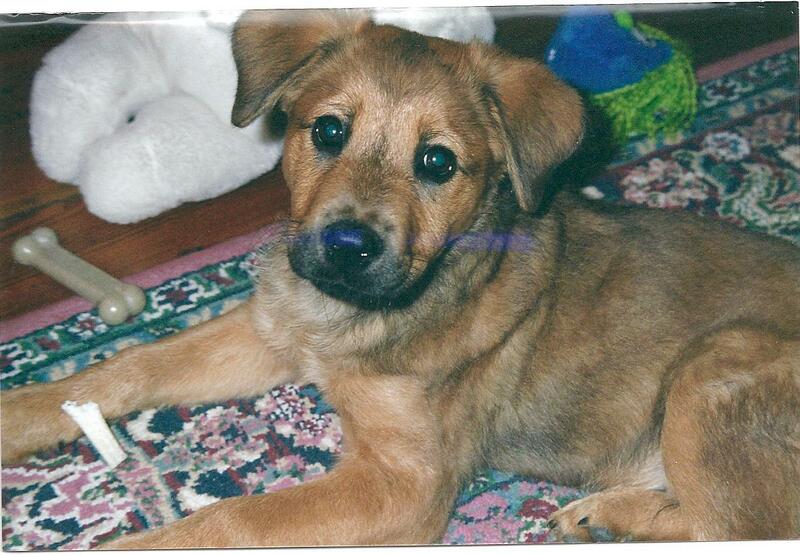 His paperwork revealed he was a Retriever/Chow mix; the shelter named him Rebel. He was irresistible. I called Kevin, who was then my fiancé, and pleaded my case – Rebel’s case. The next day, Gryffin – the dog formerly known as Rebel – came home with me. Gryffin using a sleeping Kevin as his pillow. But what if we hadn’t adopted him? What if no one had? Then Gryffin would likely be dead, because each year in Georgia, more than 80% of dogs and cats at county shelters are killed, an estimated 300,000 animals, at a cost to state taxpayers of $100 million. Pregnant dogs and cats are killed upon drop-off. For those of us living in the Northeast and on the West Coast, spaying and neutering dogs is common. In fact, Nora Parker, at New Jersey’s St. Hubert’s Animal Welfare Center, says it’s rare for dogs dropped off at its shelters not to be fixed. That’s not the case across much of the South, where attitudes about dogs reflect the region’s rural and agrarian history. 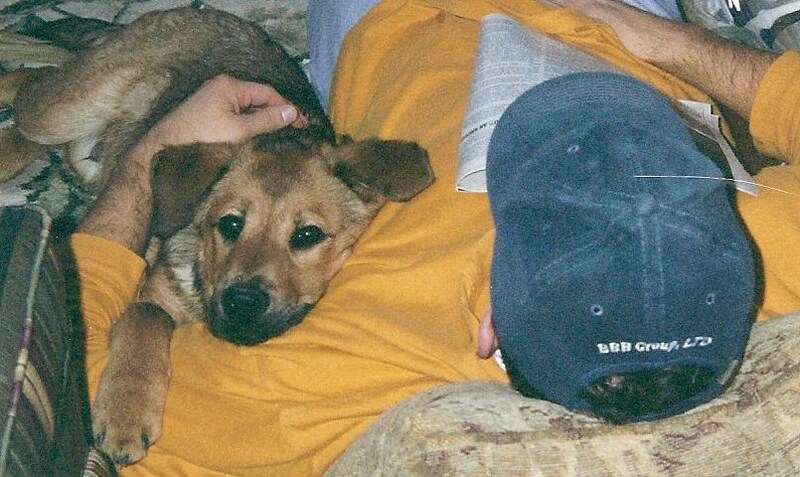 “People thought of dogs as animals, not pets,” says a good friend raised on a ten-acre farm in north Georgia. “A pet is something you care for. It lives inside the house; it is a companion.” Growing up, she says, people had “yard dogs” for protection. “If they didn’t protect your house they weren’t any good.” Healthcare for a dog, including spaying and neutering, was unthinkable. “People didn’t have extra money to spend on their kids, forget their dogs,” she says. So dogs lived outside the house, roaming freely, procreating at will. Unfortunately today, much remains the same throughout large swaths of the South, resulting in females birthing litters that give rise to more litters. The numbers are so great that the ASPCA reports that “areas of the south are overwhelmed with more dogs than loving homes.” That’s why several rescue groups in the Northeast pull dogs from southern shelters, usually just days before the dogs are scheduled to be killed. But rescue isn’t the solution, according to Ginny Millner, and no one in rescue disagrees. The term “band-aid” is bandied around a lot when talk turns to rescue. The solution – and the challenge – is getting dogs spayed and neutered. Fix Georgia Pets, founded in March, is a non-profit organization devoted to raising awareness about responsible pet ownership and providing grants to clinics and organizations that provide low- and no-cost spay and neuter services to Georgia residents. Its goal: raise $5 million dollars to spay and neuter 100,000 animals in the next two years. “It’s got to be done and it’s got to be done soon,” says Ginny Millner, “because the more you wait, the more animals you have.” And that means more animals living on deathrow. Gryffin, about four months old: spoiled, happy and very much loved. Ginny Millner hopes Fix Georgia Pets will be a model replicated throughout the South. To learn more, go to www.fixgeorgiapets.org. This entry was posted in adoption, dogs, Georgia, Gryffin, spay/neuter. Bookmark the permalink. Gryffin was adorable. He was so small! You raise an important issue. I hope this blog will draw more much-needed attention to it. Gryffin was quite the looker! People would stop us all the time to comment on his looks and ask us what breed he was. I’d tell them he was pure mutt! Thank goodness you rescued Gryffin! Just look at that face and those eyes!